The form Managed Service Plan form (DITT-MSP Form) won't update the font. The preview shows up with the original fonts and not the one I want to use. What is the issue? Thanks. 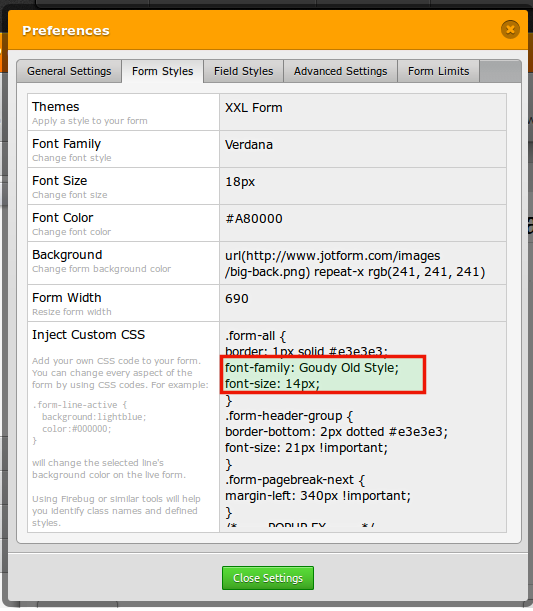 There are CSS rules that are overiding the font selection (Verdana) on your form.